Adhesive Chain Lubricant helps inhibit corrosion, reduce stress. Supporting continuous operation up to 350Â°F, CRC TAC 2™ will bond to chain/wear surfaces to keep them in peak operating condition by reducing friction and wear that cause metal fatigue. Tackifier enables lubricant to cling to metal surfaces without increasing viscosity, whichÂ lets product penetrate and coat vital chain pin and bushing areas. While Molybdenum content provides cling-ability to avoid sling-off or excess dripping, blue color fosters identification of lubricated parts and equipment. CRC TAC 2™ is an exceptional lubricant with a tough adhesive quality, which will bond to chain/wear surfaces to keep them in peak operating condition, by reducing friction and wear that cause metal fatigue. CRC TAC 2™ contains a tackifier that enables the lubricant to cling tenaciously to metal surfaces without increasing the viscosity. Regular use of CRC TAC 2™ will help inhibit corrosion, reduce load stress and help increase chain life. • Low Viscosity. Provides the ability to penetrate and thoroughly coat vital chain pin and bushing areas. • Contains Molybdenum. Provides cling-ability to avoid sling-off or excess dripping. • High Temperature Stability. Operates effectively in temperatures up to 350°F continuous, equivalent to many grease products. Covers wide range of applications. • Blue Color allows identification of lubricated parts and equipment. • No Known Ozone Depleting Chemicals. Offers effective performance while complying with the EPA regulations on the use of ozone depleting chemicals. • S.D.[L. ]™ - Safety Data Label.™ Provides instant access to current safety information should an accident or OSHA inspection occur. Helps comply with OSHA Hazard Communications Standard 29 CFR 1910.1200. 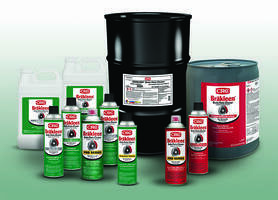 CRC Industries, Inc. is a chemical specialties manufacturer for maintenance and repair professionals and do-it-yourselfers in the automotive, marine, heavy trucking, electrical, industrial and hardware markets. 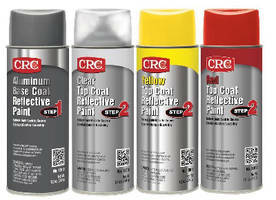 CRC trademarked brands include: CRC®, KW®, Sta-Lube®, and Marykate®.